Reading through some old blog posts on design*sponge and just realized that H&M is coming out with a new home decor line!!! 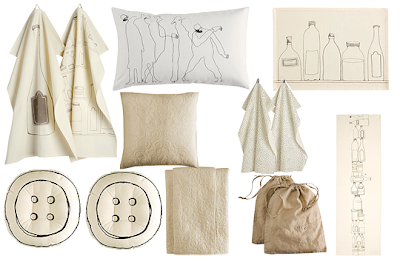 Check out some more pictures of H&M’s new home collection. I believe the collection will be available for purchase online, not too sure when, but I can't wait! ooh how exciting...it all looks so clean and organic!